Total Divas is one of E!’s most successful reality TV franchises, giving fans an exclusive look into the lives of female WWE superstars, in and out of the wrestling ring for over 5 seasons. Along with its first spinoff Total Bellas, the Total Divas franchise has proven to enthral viewers with some of the hottest sports entertainers in the world, providing non-stop action and drama in the spotlight. Brand Knew came on board during season three, tasked to connect with the evolving WWE fan base, and transform the way they know and love their Divas. Over the years, Brand Knew has implemented a variety of interactive campaigns fostering engagement and user-generated content. 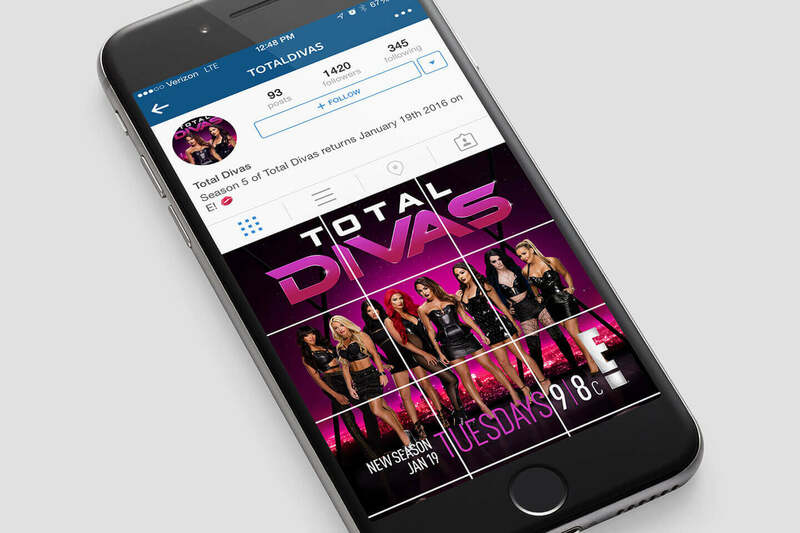 During season 5, we launched the first-ever official Total Divas Instagram account. 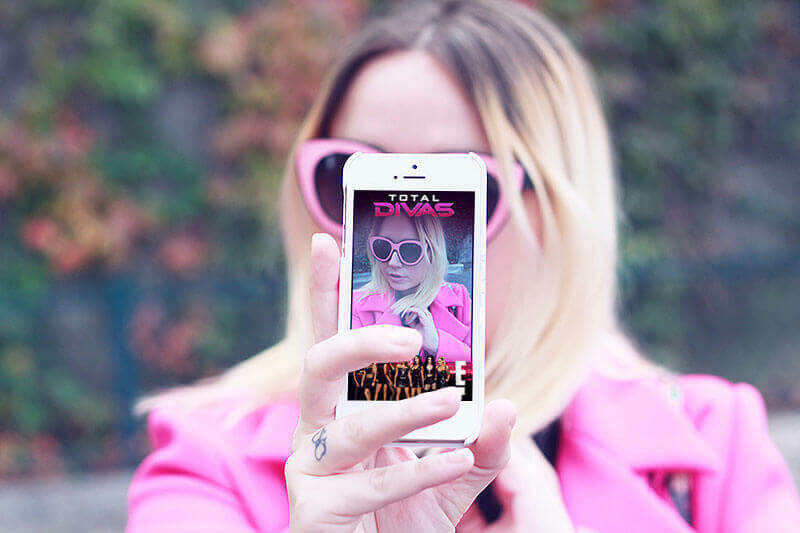 It serves as a platform for memes, GIFs, and other playful content, such as weekly takeovers by the Divas themselves. During seasons 4 and 5, Brand Knew designed custom phone wallpapers for Total Divas fans to use in support of their favorite Divas. These designs masked the phones of thousands of wrestling fans around the world, serving as a constant brand awareness tactic. In addition, as the best possible way to reach our target fan base, Brand Knew placed Snapchat filters at major WWE events, bringing qualified awareness to the series. The Divas have become worldwide celebrities in the entertainment world— with arguably the most dedicated fan base of E!’s programming slate. During the 5th season, the Total Divas accounts passed 3 million followers across all platforms. Brand Knew has not only grown the fan base, but shifted the way these fans discuss, interact with, and watch Total Divas, through engaging cross-platform campaigns and activations.